Packing sandwiches for the day. Sunscreen. On the road again. Artist Paint Pots. 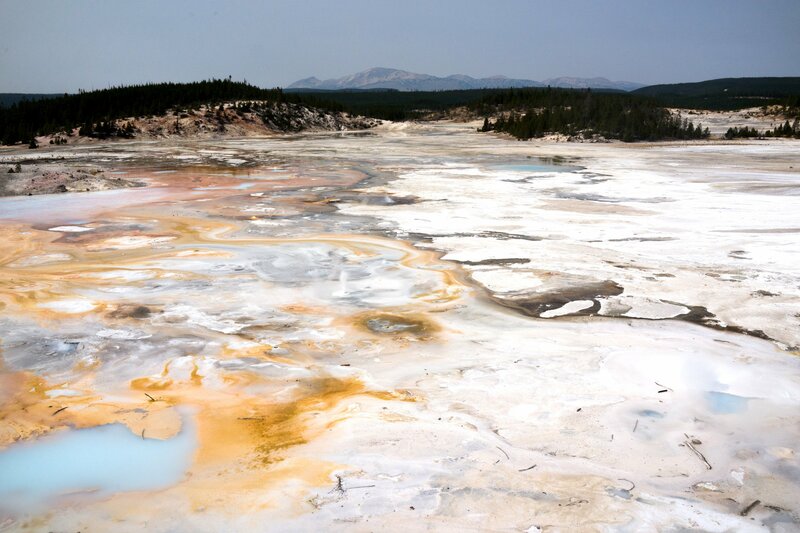 Norris Geyser Basin. Steamboat Geyser. Long boardwalks. Roaring Mountain. Mammoth Hot Springs. Trying to hit every trail. Email from Charlie. Brief break into phones. Driving back to the campsite. Through the forests. Buffalo traffic. Crazy sunsets. Temporary lost phone. Arriving after dark. Burning the last of the wood.